Hounslow Biking Belles meet on Lampton Road every Tuesday at 7pm, for a 90-minute ride described as friendly, informal and relaxed. The first meet of 2019 took place on 2 April and rides will continue until the end of September. 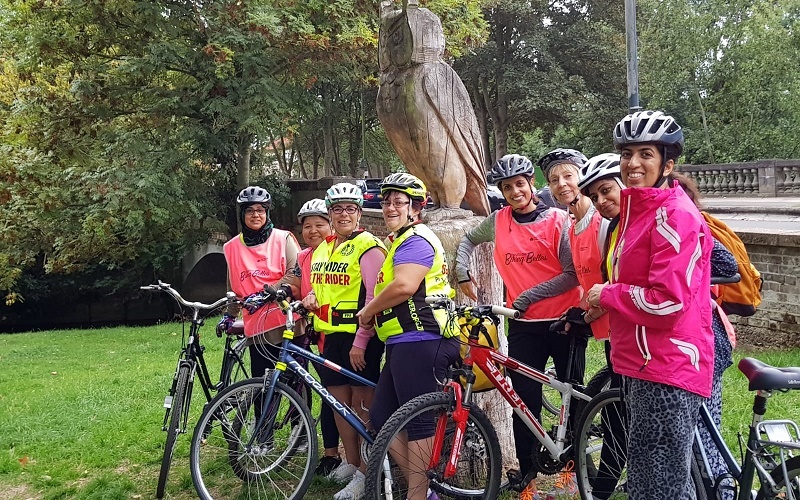 The women’s cycle group is aimed at confident and experienced riders – with many participants having taken advantage of adult training sessions provided by the council, before moving on the join the Biking Belles. Participants aged under 18 years need parent/guardian permission. All participants are provided with bikes and helmets, free of charge, and there is no requirement to book in advance – thereby removing some of the barriers which could prevent people from joining. Those wanting to take part are encouraged to arrive 10 minutes before the ride gets underway, when dedicated instructors will help with registration and allocate a suitable bike. For more information on the cycle training available in Hounslow, visit the Get Active London website.